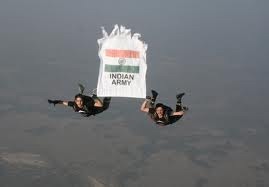 Indian Army invites applications from Engineering Graduates in Different streams for openings in its Technical Graduate Course(TGC) commencing from January 2015. Posted in Aeronautical, Aeronautics, Aerospace, Apply online, Architecture, Automobile, Automotive, Aviation, Avionics, Biotechnology, Chemical, Civil, Computer Science, Electrical and Electronics, Electronics and Communication, Electronics and Instrumentation, Electronics and Telecommunication, Freshers, Government Job, IT, Job After Btech, Power Engineering, Production, Without Experience. Tags: Apply online, Indian Army 120th Technical Graduate Course, Indian Army TGC January 2015, Indian Army vacancies on May 12, 2014 by Lalit Joshi. ISRO is recruiting Scientists/Engineer 'SC' & Junior Research Fellows. Posted in Aeronautics, Aerospace, Apply online, Computer Science, Electronics and Communication, Electronics and Instrumentation, Electronics and Telecommunication, Government Job, Job After Btech, Jobs after ME/ MTECH, ME, Mechanical, Mtech, Research Fellowships, Scientists Job, Without Experience. Tags: ISRO, ISRO Engineer 'SC', ISRO Satellite Centre, ISRO Scientists jobs, JRF recruitment on March 31, 2014 by Lalit Joshi. 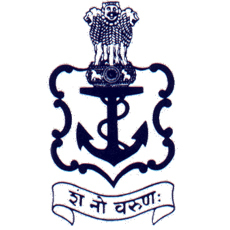 Indian Navy(Bhartiya Nausena) invites applications from young and unmarried male candidates for filling up of Technical Posts in its December 2014 course. Posted in Aeronautics, Aerospace, All Branches, Any Stream, Apply online, Automobile, Automotive, Avionics, Control, Control and Instrumentation, Electrical, Electrical & Power, Electrical and Electronics, Electronics and Communication, Electronics and Instrumentation, Electronics and Telecommunication, Freshers, Job After Btech, Marine, Mechanical, Metallurgical, Mineral, Without Experience. Tags: December 2014 Course, executive, Indian Navy, Indian Navy Engineers, Short Service Commissioned Officers, SSC Technical Posts, technical course indian navy on March 10, 2014 by Lalit Joshi. IIT Bombay | Govt. Jobs | Research Assistant | Last Date: 06 Nov 2013. Posted in Aerospace, Apply online, Government Job, Job After Btech, Mechanical, Research Associates on October 10, 2013 by kavita joshi.